Education is the driving force of any society and calls for continuous evolution to be relevant to our learning needs. The Indian education system is transforming to meet the larger demands of our growing nation. The Government’s initiative to digitalise the education system reflects a highly positive approach of embracing digital technology to revolutionise how we receive education. The digital platform, like a genie, can reach learning resources, instructional material or the teacher in action into the living room of the learner. Today, there are innumerable online educational portals that cater to students of all levels, from school to working professionals. Let’s delve deeper into the facts of the digital proliferation in the Indian education system. The main purpose of education is to facilitate learning. Digital technology paves our path to access a conducive learning atmosphere with easy availability of resources, collaborative opportunities with peers and instructor moderated activities. This platform can disseminate knowledge and understanding of any skill or domain to learners across geography, demography and age group. There are a number of players enriching the Indian e-learning market with their innovative and cost effective digital learning solutions including Tata Interactive Systems, Educomp Solutions, NIIT etc.Today, just as corporate sectors are introducing digital learning to enhance the skillset of their workforce, schools are using it to cater to the diverse learning needs and styles of young students. What are the various digital learning tools available to us? MOOC or Massive Open Online Course: It is a free online learning platform that anyone can access. It offers a course that is open, participatory, distributed and promotes lifelong-networked learning. Through it, participants can connect, collaborate and engage in the learning process. The e-education initiative of our Government addresses schools to develop pilot Massive Online Open Courses. 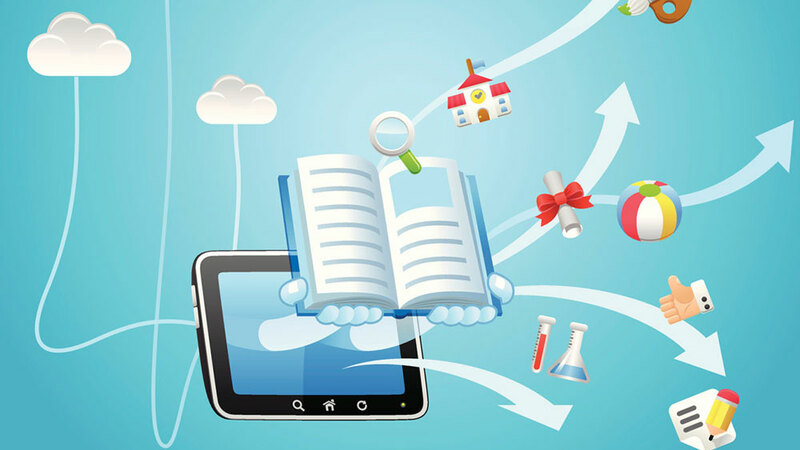 Online Learning Portals: You can strengthen your knowledge, learn the latest trends in your industry or acquire a new skill; the numerous online portals will provide you a wide range of learning options. Some of the most popular and viable sites are: Coursera, Edx, Udemy to name a few. These portals provide you both MOOC courses as well as paid ones. The programs are designed by top notch institutes like Harvard, Stanford, University of Pennsylvania etc. Webinars: Web based seminars are an effective way to stay abreast of the latest trends, and industry updates. The webinars are live and interactive with opportunities to ask, chat, poll, survey, test etc. You need to register online to participate in a webinar. Learning/skill-building apps: If you want to understand a math problem, learn a new language or polish your logical reasoning skills, you can download a learning app for free. BYJU’s apps help school children to solve complex math problems, busu is a language learning app that would build your basic knowledge of a new language. How is the Indian education system impacted by digital learning? It can be accessed from anywhere. In India, a considerable number of learners reside in remote areas and cannot attend proper educational institution because of distance and commute problems. An online learning platform can resolve this issue.They can not only access classes but overcome the problem of lack of resources like textbooks, learning material. The Government’s e-pathshalaenables students, parents, educators to access resources (textbooks, audio, video) via any digital device. Universities and colleges are including a digital learning framework to revamp their distance learning programs. Working professionals or individuals who cannot attend face to face classes due to professional or personal commitments can opt for online courses as they provide flexibility and allow for self-paced learning. The online lessons are designed to optimise student’s learning capabilities. Graphics, music and interactive modules provide a holistic approach to obtain subject knowledge. Furthermore, the lessons are also created as per cognitive levels, subject/skill area and specialisations, hence they satisfy individual learning needs. It offers one to one learning opportunities. In a class of 50 students, it becomes difficult for teachers to cater to individual needs of students or for students to reach teachers for answering their queries. On a digital platform, learners can anonymously pose their questions and receive prompt response. The various learning apps, and online lessons often act as knowledge supplement. In fact, the online tutorials are leveraging digital technology to provide students with in depth understanding of concepts along with furnishing them with multiple techniques of problem solving.It can offer substantial academic support for competitive exam preparations, or for professional studies. Digital learning is an answer to India’s growing need to dispense education at all levels across regions and local barriers. Be it engaging pre-schoolers or making young adults active learners, scaffolding adult learning or enhancing professional skills, the digital mediumholds promise for a rich and diversified educational system.